University of Oregon political scientist Erin Beck thinks development organizations aren't asking the right questions if they want to truly understand what the money they spend trying to help lift poor people out of poverty around the globe is actually doing. Her new book, "How Development Projects Persist," outlines her takeaways from researching nongovernmental microfinance organizations for poor rural women in Guatemala and challenges standard ways of measuring the success of development projects. She argues that organizations rely too much on numbers and often overlook critical human interactions, which are not as easily measured but are central to understanding how development projects function and persist. "We can't just think about what the projects are doing for people but should also examine what people do for projects," Beck said. "We need to look at how policies get transformed on the ground." Which is exactly what Beck did, for seven years. She embedded herself into two microfinance institutions in Guatemala—Namaste and the Fraternity —and found that the local beneficiaries and employees were both very influential in the way development work unfolds, which the sponsoring organizations didn't recognize. She discovered that workers and the women who were receiving loans were each pursuing their own goals, which often differed from those of the organization's policymakers. By leveraging the microfinance projects toward their own ends, the workers and beneficiaries ended up changing the way the projects operated in dynamic and unexpected ways. For instance, Namaste's goal was to promote development by helping women earn more money and learn business skills that would allow them to escape or avoid poverty. 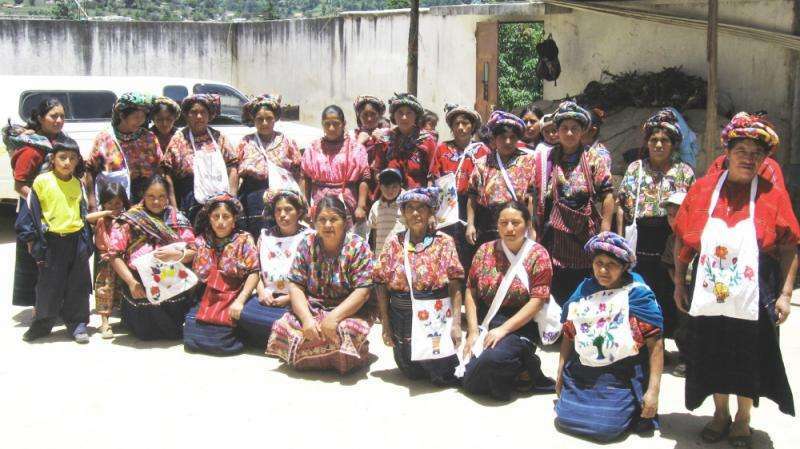 The yardstick it used to measure its success was how much the women's business income increased for each dollar the foundation provided, a measurement that grew from an assumption that poor Guatemalan women wanted to expand their businesses but didn't possess good business acumen. However, the foundation misjudged the women's needs and skills, Beck believes. Not every woman was interested in growing her business; what many wanted was just enough financing to keep a small business running and still allow them to take care of their children, their homes and their communities. And it turned out the women were unexpectedly savvy about the microfinance options available to them. They were well-versed in interest rates, payback plans and the terms and conditions of the loans being offered by each organization. Using that knowledge, they manipulated the system so it met their needs rather than the expectations of the funders. Rather than growing their businesses, they used the aid to keep them at a size that still let them meet their family and community needs. "Women are not mere dupes," Beck said. "Neither victims nor heroines of development, some are eager aid recipients. Knowing the right things to say and how to accommodate microfinance institutions, some women strategically engage multiple development projects at once, while others reject them altogether. "The diversity of women's goals complicate policymakers' expectations and assumptions about women, their communities and the certainty of the development intervention that they are offering." While many people expect development organizations to affect women, it was obvious to Beck in this case that the women were actually affecting the project as they maneuvered the system to meet their specific needs. But she found that Namaste, the organization issuing the loans, missed this reality because it measured its success by the return on its investment. Namaste examined how much the women's business incomes increased per dollar spent because it wanted to find a clear link between input and output. "Its focus on quantifiable goals put blinders on the organization," Beck said. "They were less sensitive to women's narratives, which were not easily quantified and therefore not easily understood in a feedback system designed to deal with numbers." Beck is quick to acknowledge that the organizations' policymakers operate with good intentions: They want to help poor women in Guatemala. But she is troubled by their inability to see the world through their diverse beneficiaries' eyes and to adapt their goals to fit the evolving needs and desires of the local community. She also acknowledges that the beneficiaries are partly at fault as they continue to work the system to meet their own goals. Their participation in projects can be misinterpreted as an indicator of success, even if the project is not meeting its intended goals. The end result is often replicating or tweaking existing projects rather than rethinking them altogether. That's what allows some development projects to persist even when they rarely improve human well-being. "Development projects thrive because of—not in spite of—their tensions and inconsistencies," Beck said, "because they allow people to view them as successful even if they fail to develop communities or countries."